Like me, you are probably ready to forget Me Made May for another year. However, I thought I'd just have a quick look through the handmade clothes I wore in May 2016 and see what was popular in my wardrobe. May 2016 in Perth was, weatherwise, pretty similar throughout. Most days were in the low to mid 20s with a couple of rainy days. This meant that hardly any of my warm and cold weather gear was seen at all, which was a bit of a shame. Patrones army jacket with StyleArc Elle pants and Named Wenona shirt / Patrones jacket in black with khaki StyleArc Lola pants / Deer and Doe Plantain tee with black StyleArc Lola pants / Named Jamie jeans with Paprika Patterns Jasper sweater / Named Jamie jeans with StyleArc Amber top / Vogue 1313 dress with Closet Case Files Nettie bodysuit / StyleArc Estelle jacket, Paprika Patterns Jade Skirt and SavageCoco Patterns Presto top / Named Inari Tee dress / StyleArc Estelle jacket, Patrones blouse and silk StyleArc Lola pants. Pants: StyleArc Elle and Lola pants (some of the Lola pants were altered to have an elasticated cuff and front and back patch pockets) and Named Jamie jeans. Tops: Burdastyle jumpers and Deer and Doe Plantain tees. Jackets: Patrones jackets in black and khaki, StyleArc Estelle jacket. 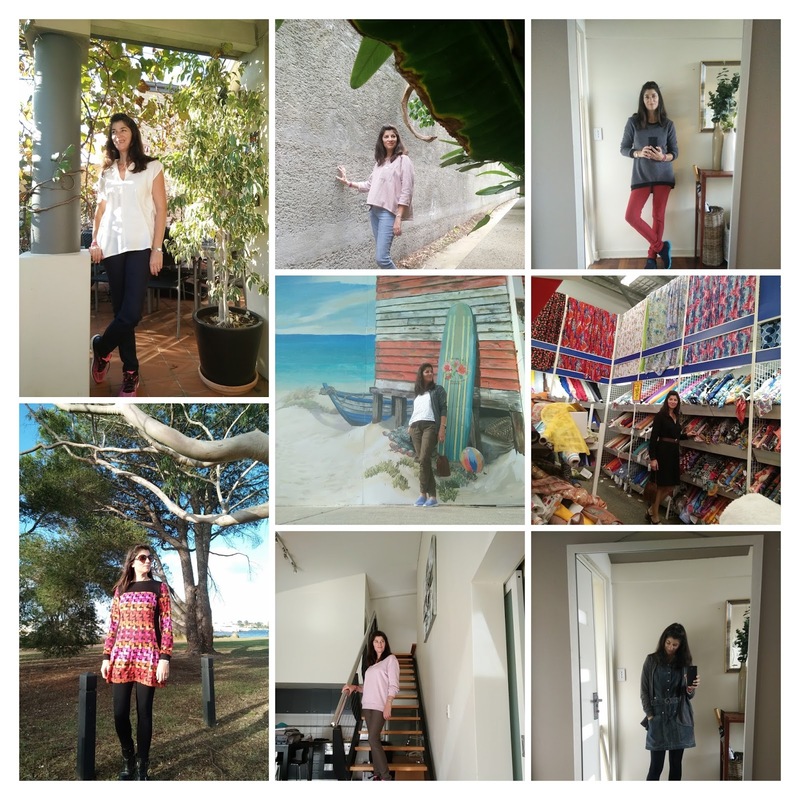 Dresses and skirts: my refashioned denim dress from jeans was the only dress or skirt I wore more than once. I always wore my Megan Nielsen leggings to stay warm. I love all the dresses and skirts I wore in May. 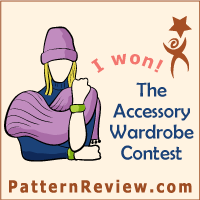 The pattern companies I wore most things from were StyleArc, Paprika Patterns and Named Clothing. I think I use mostly patterns from these companies year round actually. So there we are. Thank you to all who followed my progress on Instagram and made lovely comments. I loved seeing what everyone else was wearing day to day too. 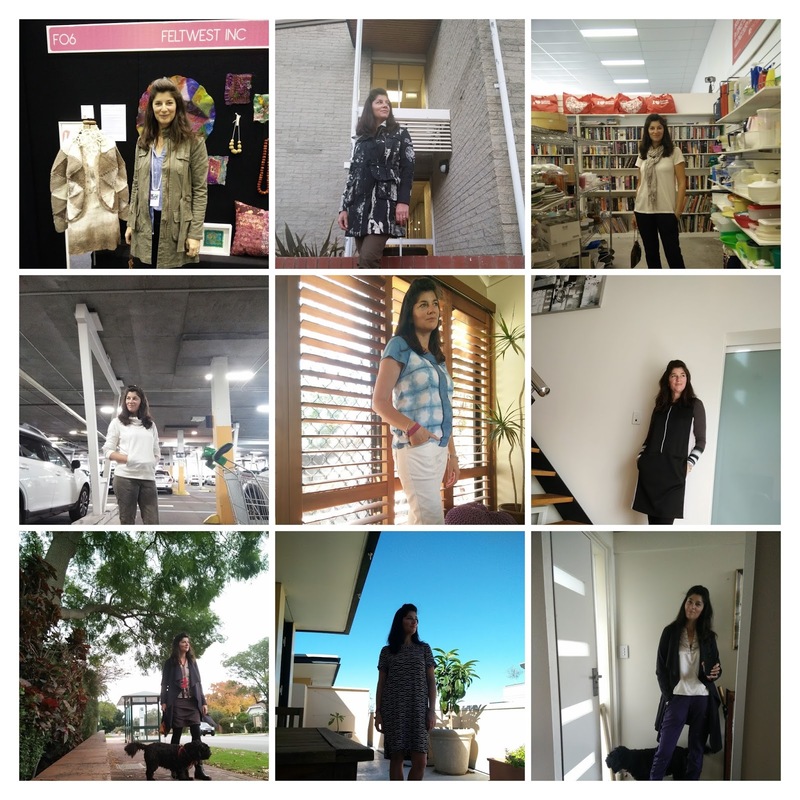 Love your casual yet smart style Megan and I enjoyed seeing your me mades in everyday action. Your sewing is always so inspiring. You have a good variety of different outfits. I always enjoy seeing what you have made. The feeling is mutual. Sew on! 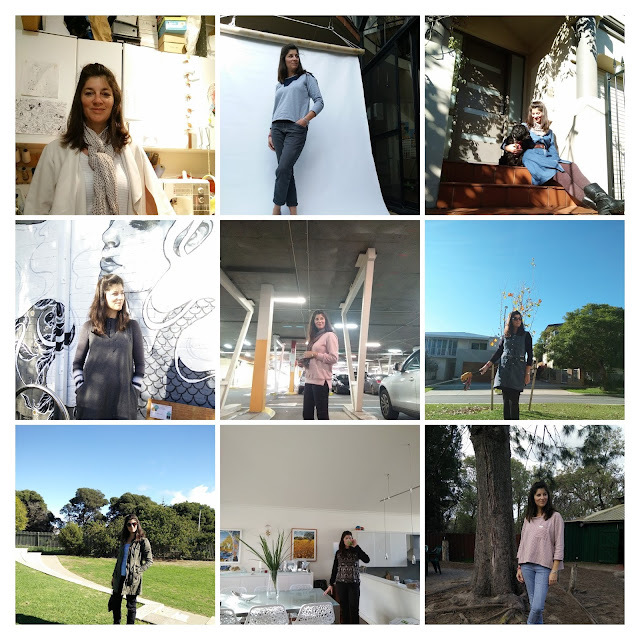 Slowly catching up - but I did love seeing what you wore over May - sometimes sewing overcomes what you actually wear so these kinds of challenges are very healthy!